Most of the time Luna is played by Kaitlyn, a real person. But sometimes she is a puppet. 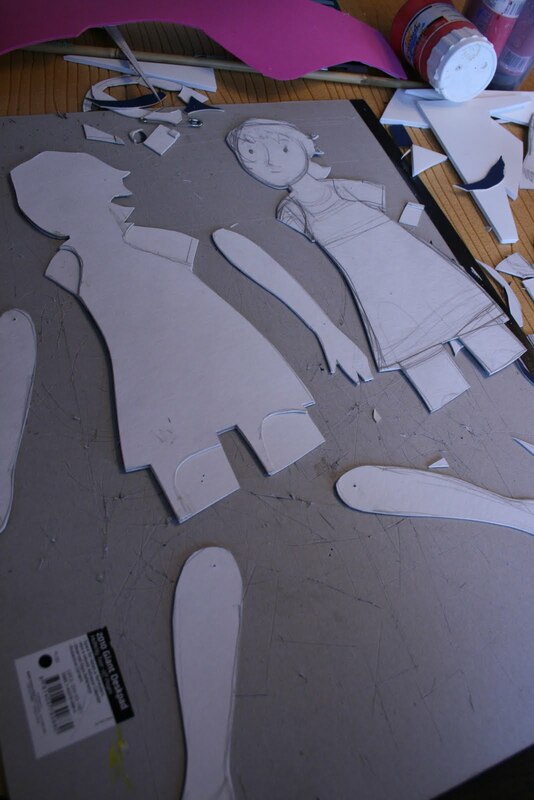 Here is puppet Luna being pieced together out of 3 sheets of board, made so that her arms and legs can move while she swims in the sea. Using discarded materials as much as possible is important to this puppet company, as we think there are more then enough good materials thrown out to make a million puppet shows. 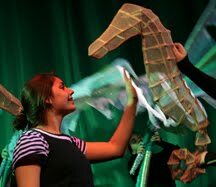 More puppets, less waste! Below, Judy paints stripes on the puppet theater made from a rescued cardboard box, while Tula the dog tries to get into the show herself!